Ever wish you could have stunning brows like the models and actresses do? 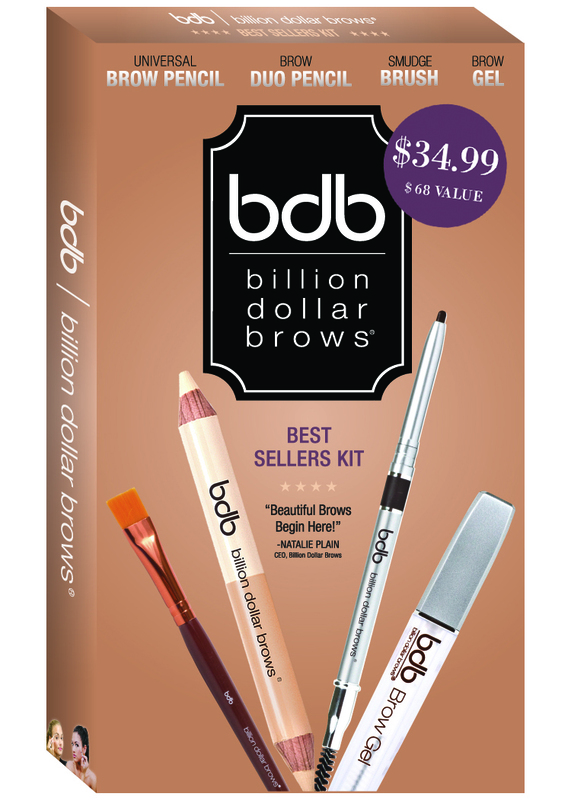 With the Billion Dollar Brows Best Sellers Kit, available exclusively at Kohl’s, you can! I received a complimentary kit to try out at home, and I’ve been experimenting with it for the past week. Read on to check out my thoughts and find out more about the kit. So here’s the thing: I never really gave much thought about my eyebrows. I have like a zillion different eye shadows, eyeliners and mascaras, but not a single product designed to make my brows look better. As a total beauty product addict, that seems like a bit of an oversight, doesn’t it? I guess I always just kind of stopped right below my eyebrows. Maybe it’s because I honestly just don’t know what to do with them. When the kit arrived, I was a little unsure of what went where. I mean, sure, it looks self-explanatory, but keep in mind that I’ve never done a single thing to my eyebrows. I had to do a little experimenting with the highlighter to figure out where it goes. The other products were easier to figure out. I do wish that the kit came with a booklet or something with some tips for people like me. This is my end result. I didn’t go too heavy with any of the products, so I think it came out pretty natural. 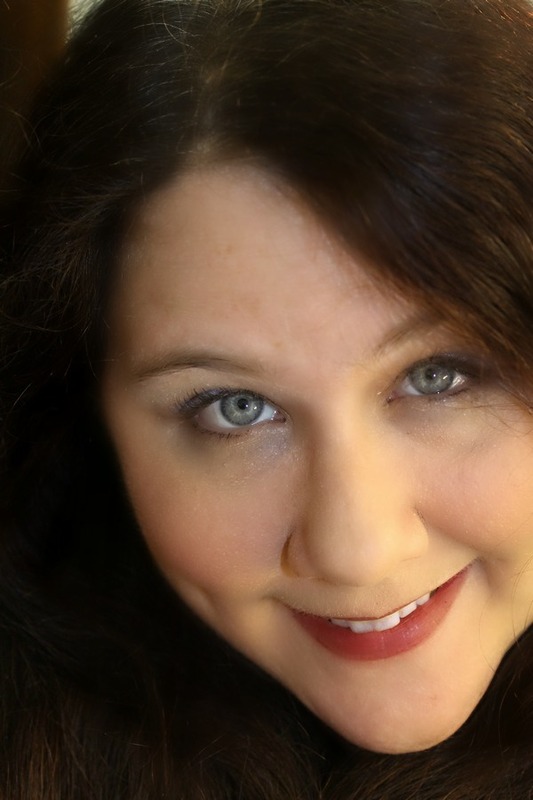 Oh, and I totally airbrushed my face in PicMonkey. Hey, I’m not going to lie! I’ve been sick, so my skin is looking a little blah this week. I’m also wearing pajamas, in case you were wondering, hence the super close-up! They have cupcakes on them. Ah, the benefits of working from home! Want to see a super-duper close-up of my eyebrows? Why wouldn’t you, right? I mean, it’s an eyebrow post after all! It’s also airbrushed, because I have a weird sty thing going on under my eye. It’s been there forever, I can’t stand it. I didn’t airbrush the brows though, that would defeat the purpose. Overall, I think I did okay. I think I still could use some practice, but that’s on me, not the Billion Dollar Brows kit. 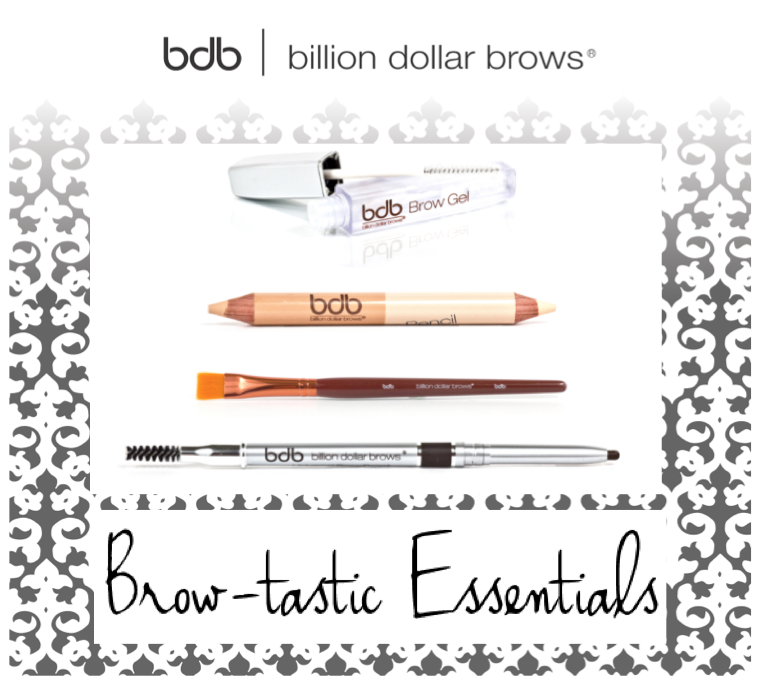 Speaking of, did you know that Billion Dollar Brows is the ONLY beauty company dedicated entirely to making your eyebrows gorgeous? That’s pretty cool! Get the kit exclusively at KOHL’S, available now! Do you “do” your eyebrows when you’re doing your makeup? Do you have any tips for me on how to make mine look better? I saw this kit at Kohls, but i wasnt sure if I should get it – thanks for reviewing it.